I regularly pass by Lost Coast Brewing's beer at the Liquor Mart without giving them a shot, but every one of their beers has been on my list for a while. Why haven't I tried them sooner? No clue. I'm excited, trying their Winterbraun Ale. 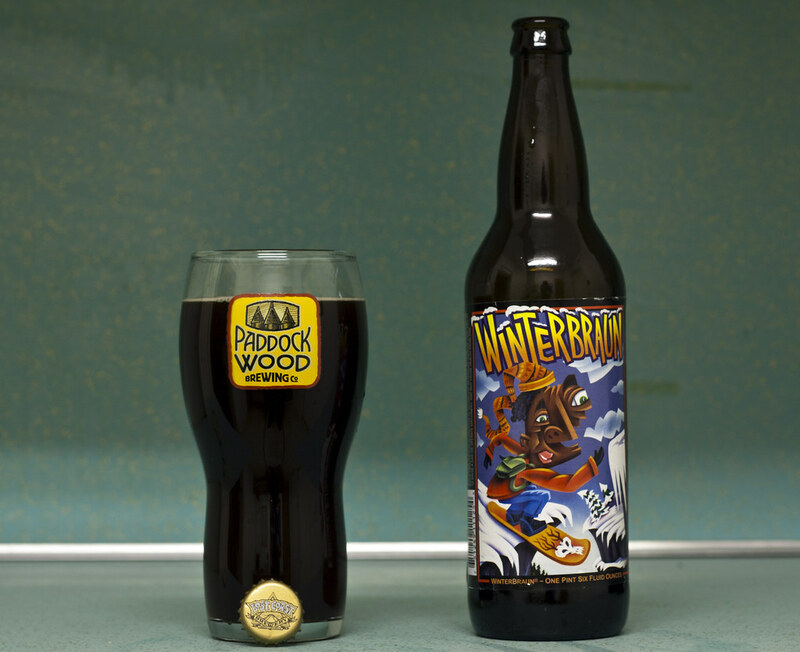 Seeing that it's obviously going to be a stronger beer meant for winter time (Remember California's idea of winter differs from Manitoba), it's supposed to be a beer to make you feel warm and fuzzy during the cold winter nights. The beer was around $4.80 before tax, 6.5% ABV. Appearance: In 650mL bottle, love the graphics, Pours a very very dark brown colour, similar in appearance to a porter. Very minimal foam that diminishes immediately. Aroma: Sweet and malty, almost parfumic, bit of a note of coffee, and pretty roasted. Taste: Taste of roasted malts, coffee, almost similar to the porter I had the other day. A bit of a bitter hit of flavour ad the middle-back of my mouth and pretty nutty, overall. Overall thoughts: For the price (approx $4.80), it's pretty affordable for a 650mL bottle. I think I'll buy a bottle of this for Christmas. With an ABV of 6.5%, it's not too light, not too heavy.